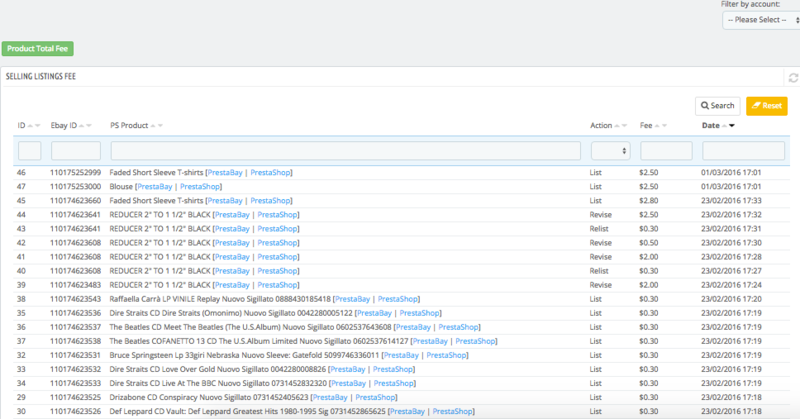 The new version of PrestaBay Professional packages available for downloads. In this release, we include a couple of bugfixes and updates. Please check configuration options. If you still use old PHP version, it's time to ask your hosting to update. Soon PrestaBay will work only with PHP 5.4. So we strong recommend upgrading your server to using the newest version of PHP. If possible PHP 5.6. In version 2.5 we only show a notification at Configuration block. We update an interface of Selling List page. Now the icon is clearer. 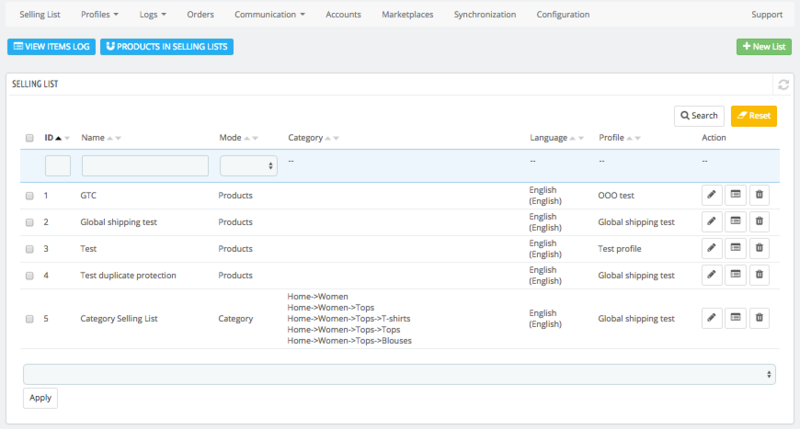 There also available two new buttons 'View Items Logs' and 'Products in Selling Lists'. 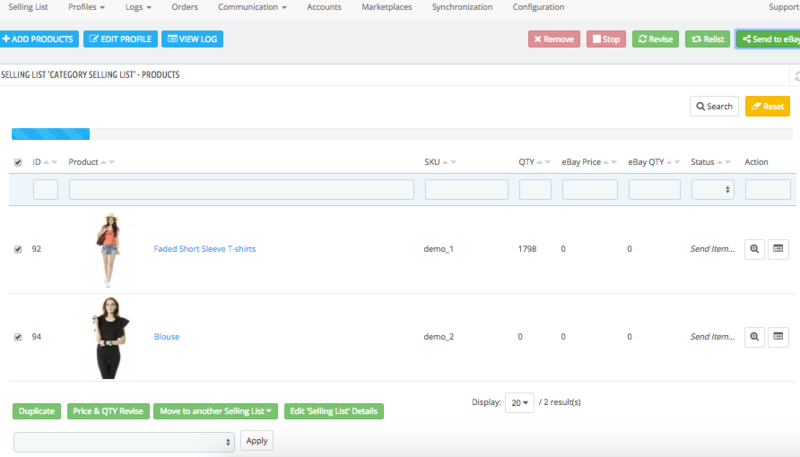 We update the interface of Selling List edit. Now it more interactive. You don't need to go special page to perform ebay action. All operations with item conducted on the same page. List fee, warnings and errors display as popup notice. If you don't like this new functionality, you can switch to an old version. To do this please open Catalog->Ebay->Configuration->Variables, set "1" for variable INVEBAY_NEW_SELLING_DEACTIVATE. 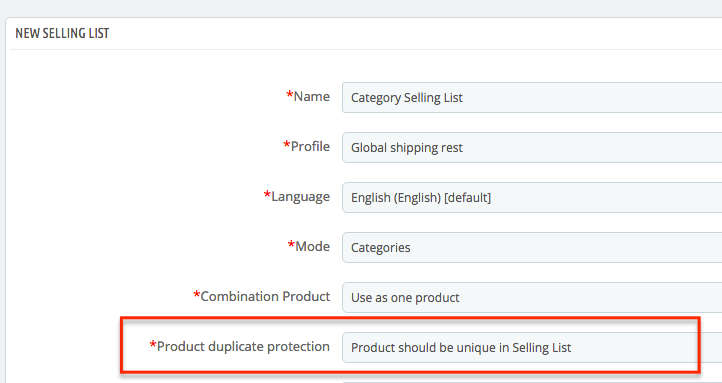 This new grid should help you understand what products already listed on ebay, what product does not list. The last column shows how many ebay items connected to this product. Fill free to send us an idea how to improve this list. Now access all logs much easy. We move all logs into a special menu. 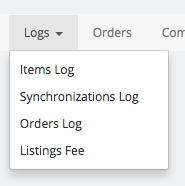 Items Log – show ebay actions logs for all items in all selling lists. 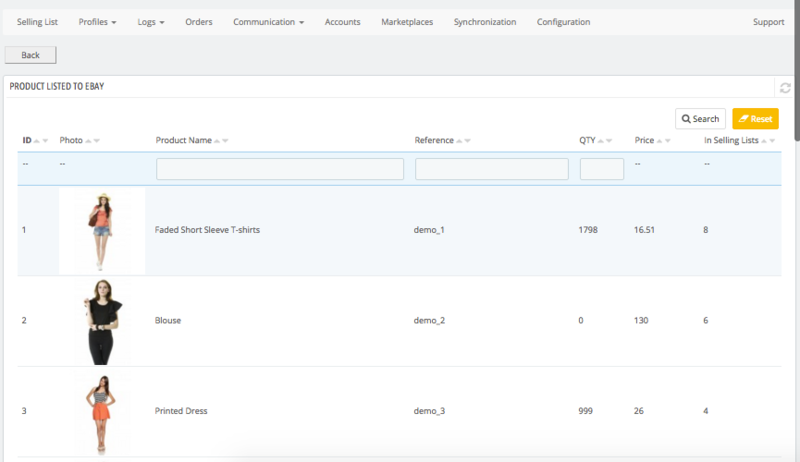 Orders Log – cumulative logs of all ebay orders. This is new Report. You can find it from PrestaShop menu "Catalog->Ebay->Logs->Listings Fee"
On this page, you can see the latest fee happens during ebay actions. New row added to this list only if total cost more that 0. By click on button "Product Total Fee" you will see another report. This report will show grouped fee for each product into specific time range. By default, this range is 30 days. You can also see report for "last 7 day" and "last 24 hours". During regular synchronization, PrestaBay module performs only QTY and Price revise. If you need full revise for the item, it's only possible to throw module interface. Now we add the possibility to indicate items that need to be fully revised. This is 'Advanced' feature available throw direct DB edit. 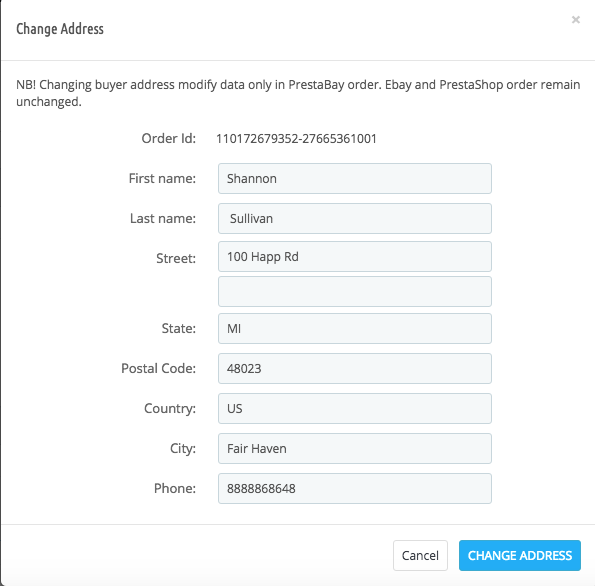 Put "1" into field "INVEBAY_SYNC_FULL_REVISE"
In this release, we rewrite Ebay Order import into PrestaShop store. Currently this in experimental phase and only available if you activate it. 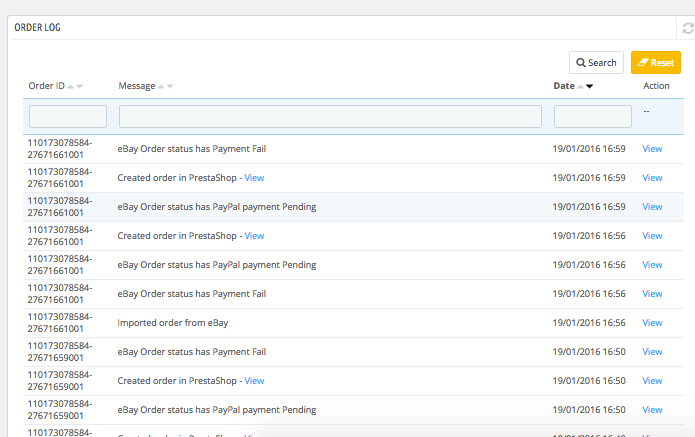 Set variable INVEBAY_ORDER_NEW_IMPORT to "1"
This updated functionality solve problem with PrestaShop cache (order mix), conflict with other modules used order_hook, improve order import workflow. Consider to activate option if you see issues with Ebay order import in your store.